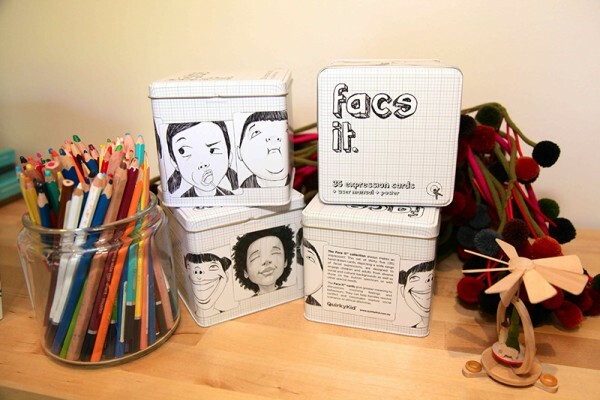 The Face It deck ($66) by Quirky Kid is a collection of 35 hand-drawn cards, each one showing a different facial expression. They’re a great help for engaging with kids on the autism spectrum, and they can be used in myriad other scenarios. Parents can use them to talk to kids about their feelings, kids and adults from varied social and cultural backgrounds can use them as a sort of Rosetta Stone to bridge a cultural gap, and they’re a great classroom resource for teachers to help resolve conflict and start conversations about emotions. Quirky Kid is a child and family psychology clinic and publishing house. It develops therapeutic resources to help kids and adults to discuss social situations, emotions and behavioural issues. In addition to the Face It cards, Quirky Kid publishes books that help families start conversations about tricky topics like divorce, adoption, dealing with anger, and feeling sad. You can peruse the full collection of resources at the Quirky Kid Shoppe, and shipping on orders over $100 is free.